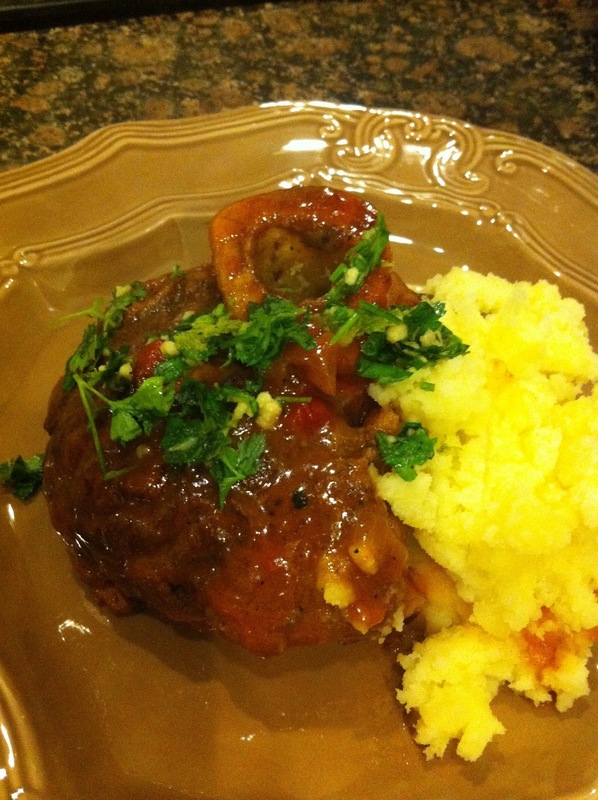 I have made Osso Bucco a couple of times now - both times with different recipes. Apparently one version is northern Italian without tomatoes and the gremolata included in the cooking and the other from southern Italy with tomatoes and the gremolata sprinkled on the top - or is it the other way around. 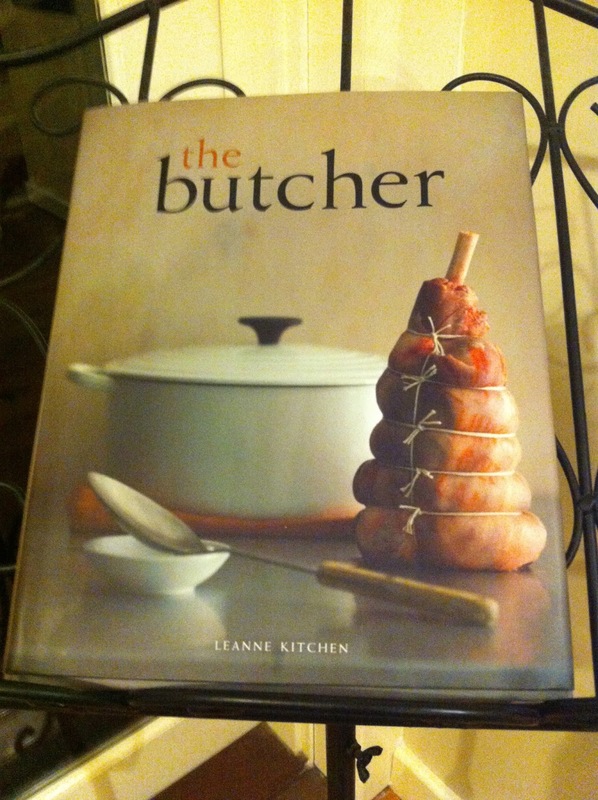 Not sure if this is entirely correct but both, I have to say, were delicious, but I really prefer this version by Leanne Kitchen from her book "the butcher". I really like her books and I don't use them nearly enough. This one is a good size - not too big, good photos, and clear classic recipes. 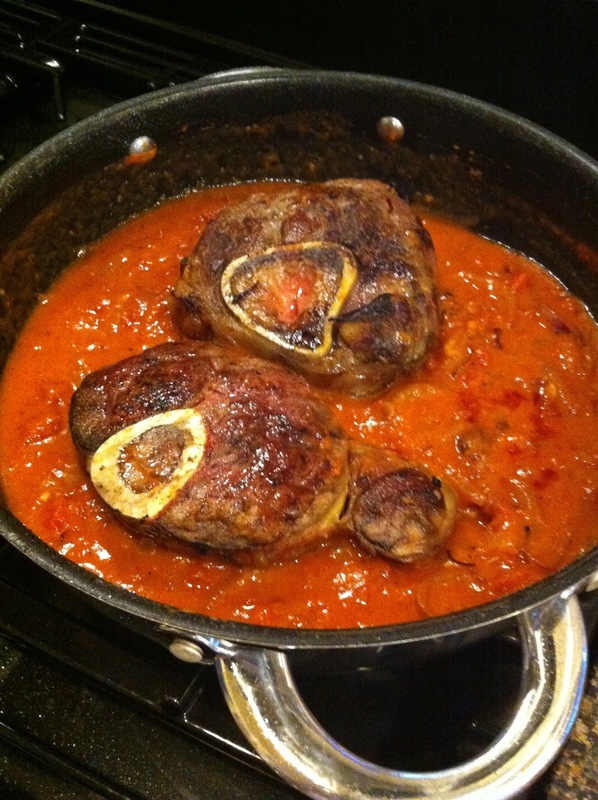 Osso Bucco is a cheap veal shank braised slowly so that it can be cut with a fork! So in my favourite slow cooking style this bubbled away on a low heat. Heat half the oil in a large shallow flameproof casserole dish or pan. Add onion and sauté over low heat for 10 minutes until soft and golden. Add the garlic - cook for 1 minute and remove from pan. Heat remaining oil in pan and brown osso bucco over medium heat for 6-7 minutes, turn once, remove from pan. Return onions to the pan add flour, cook for 30 seconds, remove from the heat and slowly stir in the tomatoes, wine and stock until well combined. Add the meat and bring to the boil, stirring. Cover reduce heat to low and gently simmer for 2.5 hours or until the meat falls from the bone. In a small bowl mix together all the ingredients - easy! Serve with risotto or plain white rice or lashings of creamy mashed potato sprinkle over the gremolata. Yumo! Happy 4th July ! That's a coincidence...I was just looking at a recipe for this in Bowl Food...I love the idea of the gremolata topping. 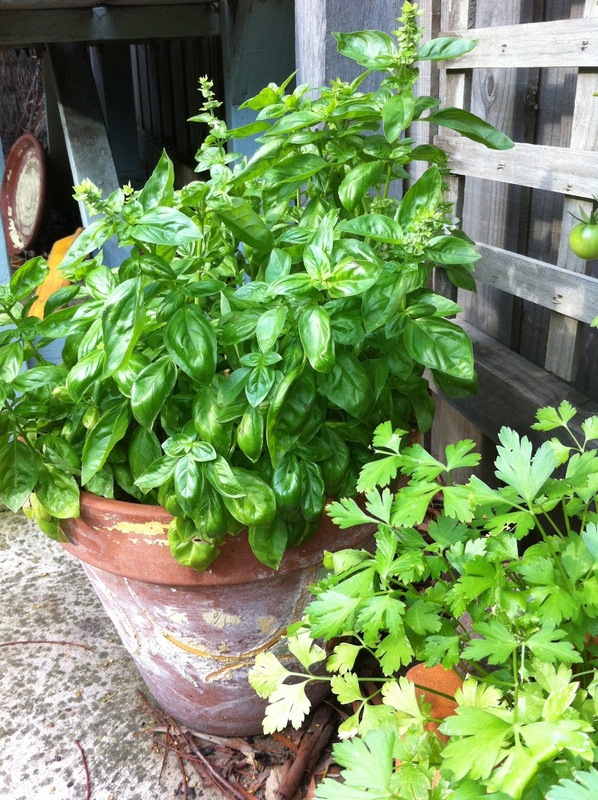 Especially with lovely home grown herbs. The lemon and parsley really adds zing! Surprisingly I've never had this - maybe it's time to try. It looks absolutely delicious and is making my mouth water. Give it a go Jen - you won't be disappointed, just make sure its not a hot day!